My son Parker, who is 5, has recently taken an increased interest in what Daddy does at his job. So, why not use that interest to bond with him? I asked him to draw an alien that I would then color. He did and also drew an alien spacecraft for it to live in. After he went to sleep, I scanned his drawing and colored it in. The excitement in his eyes when he saw it this morning was priceless. We will likely do a whole bunch more of these in the near future. Maybe his twin sister will join in, too. As I was coloring it, I was trying to imagine what he saw when he drew it. Most of that magical imagination is erased from our minds by the gritty sandpaper we call life. Maybe this will help us regrow a little of it. A father and son collaboration. 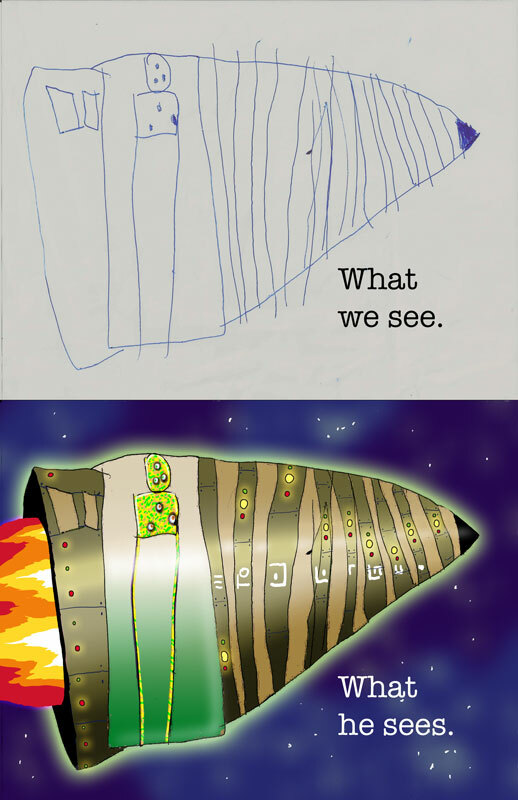 Please click Like below and tell me about your child’s drawings. 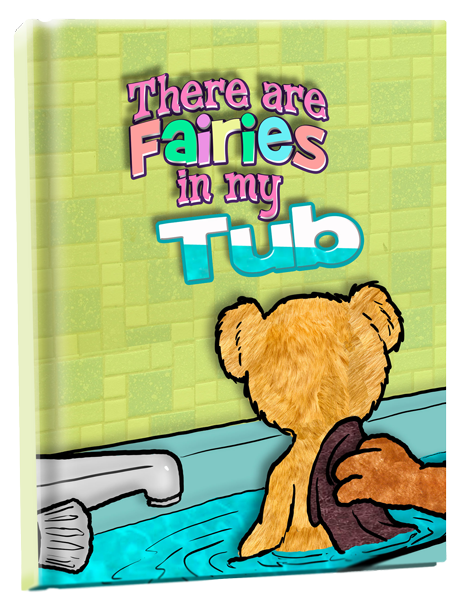 I’m pleased to present my newest book, There Are Fairies In My Tub, just released. I’ve actually illustrated AND authored this book. Please buy a copy before sending your hate mail. You can’t burn it if you don’t buy it! From the book A Pet For Me by Rosalind Abbott. Just released and available on Amazon. From the new book by Rosalind Abbott. 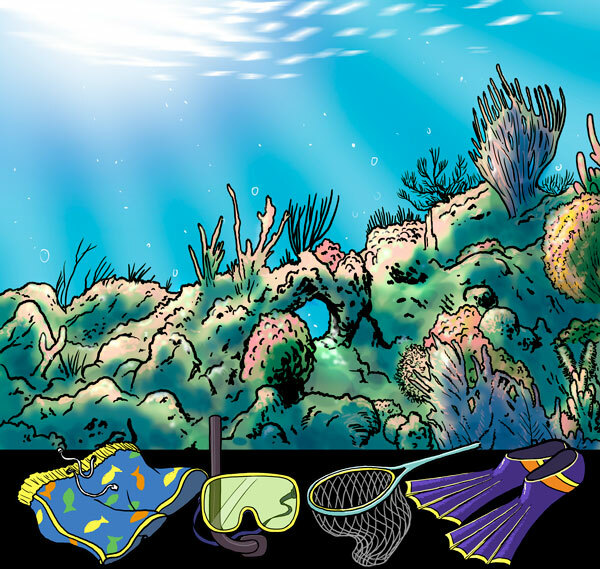 I’m very proud of my illustrations for this book. The author gave me wide latitude to interpret the story visually. This book is a great read. My kids love it. Click the link below to buy it right now on Amazon. In honor of Theodore Geisel (aka. Dr. Seuss), whose birthday is March 2nd, I thought I’d examine his rhyme and meter. Maybe I’m just a humble illustrator but, I’ve also been a humble editor and humble ghost-writer for years. Besides, who can ignore the genuine power of rhyme. Rhyme makes the mundane into magic and causes an, almost supernatural, emotional response. But it only works if you do it correctly. If a rhyme is a cake then to bake one you can’t leave out the key ingredients. A rhyme won’t ‘rise’ without a proper meter. And no one wants to digest that cake. Let’s look at this first stanza from Oh, The Places You’ll Go. The meter he chose is a Pentameter, which simply means five ‘feet’ or five beats. In this stanza, he breaks each Pentameter into a Dactyl followed by a Spondee. A Dactyl is composed of a three feet, stressed-unstressed-unstressed. 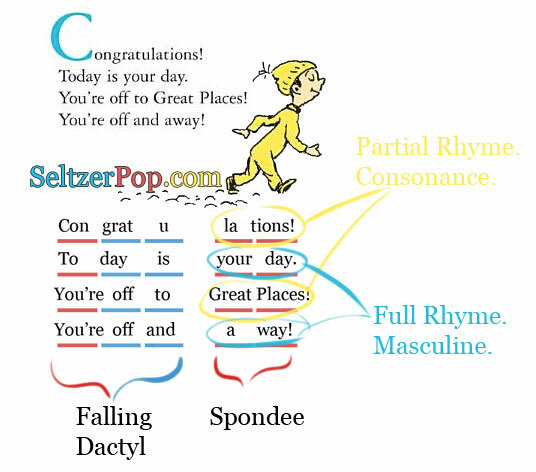 And the rhyme is a Spondee which is simply two stressed syllables or two mono-syllabic words. This consistent meter sets the stage for the rhyme. Without a consistent meter, the rhyme loses most of its punch. Now, let’s look at the actual rhyme. The good doctor sets up his punch with a jab. The first and third lines rhyme using a partial rhyme, a consonant one, the weakest of all rhymes. Places and ‘lations use different consonants and different vowels but sound a little bit alike. But that’s okay because it is only the jab in this one-two combo. In the second and fourth lines, Seuss follows through with a full masculine rhyme. Masculine simply means that only the last syllable is rhyming and it is stressed. It is a full rhyme (or perfect rhyme) because each syllable ends with the exact same sound (‘ay). You may notice the the word Great in line 3 doesn’t seem to fit in the formula. Dr. Seuss often sticks in an extra beat in this region of his stanzas. I can only guess it is there to keep the cadence from becoming monotonous. 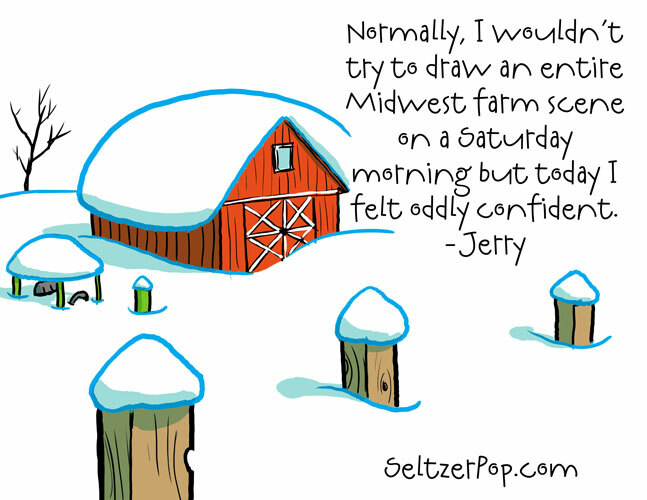 If you can rhyme like this, I would love to illustrate your book. If you rhyme like a crazy person, I’ll just charge you more. Happy 109th birthday, Theodore Geisel! Best wishes to all my friends buried by the blizzard. Hope you dig out soon. A monkey with two billion bad ideas for children’s stories. 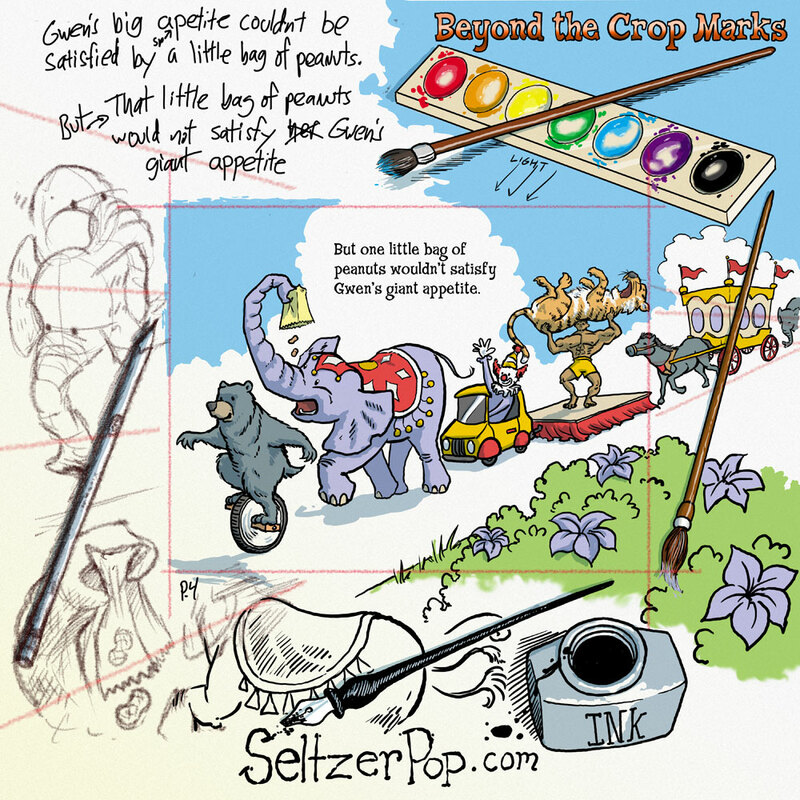 Ideas for children’s books can come from anywhere. That’s why it is always good to carry a notebook around with you. 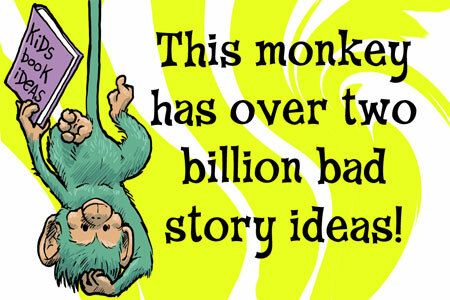 And if you are ever in need of fresh ideas, you can turn to the Bad Story Idea Monkey… and throw your notebook at him. 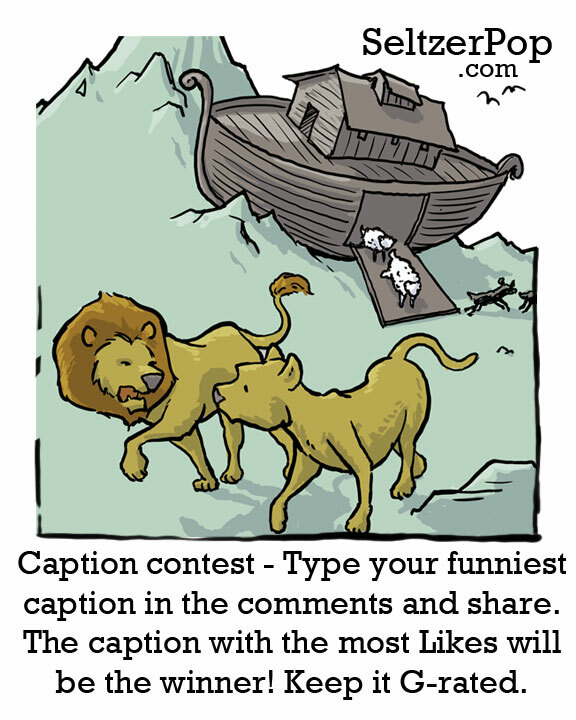 Post your favorite story ideas in the comments below. The worst ideas will live forever in infamy! This monkey must be stopped for the sake of children everywhere! 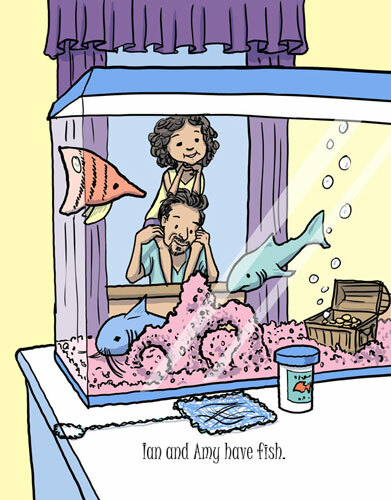 Please enjoy this glimpse into what goes into a picture book page.